Growing up my mother made two things in the slow cooker; beans and pot roast. Interestingly enough I don’t make traditional pot roast very often. We like to turn it into Tex Mex food and shred it up and then stuff it in flour tortillas. Yum! That said, roast, potatoes and carrots are just so easy to make. It is a one dish meal that everyone in our house enjoys when I do prepare it. I really should make it more often. 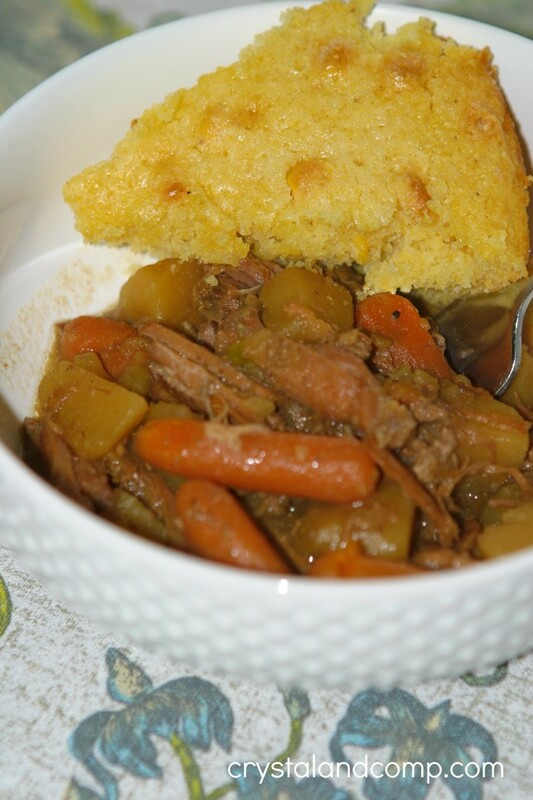 Here is the most tender slow cooker pot roast you will ever eat. 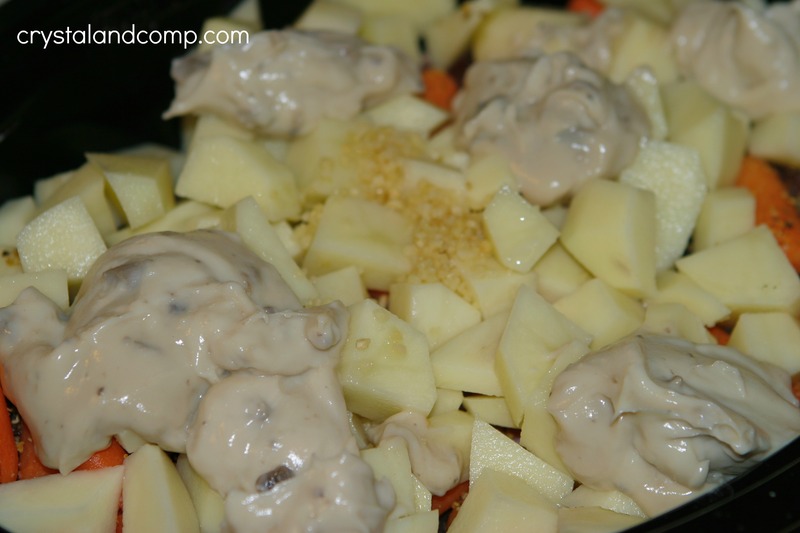 Make sure you check out all of my easy recipes that are perfect for busy families. They will help you get dinner on the table! Add the roast to your slow cooker. For the amount of food we are cooking you will want to use a 6 qt oval slow cooker. 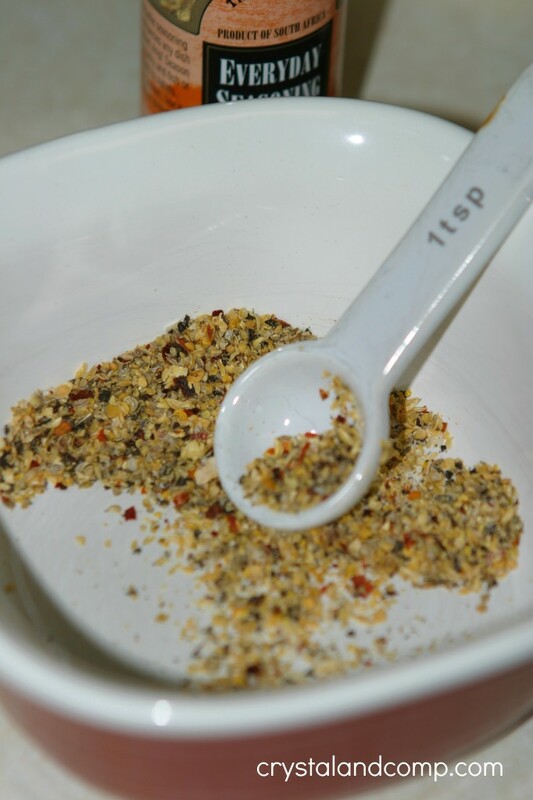 Use the built in grinder to crack 3 teaspoons of the Everyday Seasoning. Sprinkle this over the meat. Don’t have this seasoning? Use your favorite meat seasoning. Toss in your diced potatoes and baby carrots on top of the roast. If there is space I tuck some of these under the roast too depending on how it fits in the slow cooker. Add the minced garlic and the can of cream of mushroom over top. I spoon it out of the can and distribute evenly. Pour in 32 ounces of broth. I used chicken broth. The longer you cook this, the more tender it will be. I cooked this over night and then into the day the next day. If you’re going to do this, cook it on low over night and then move it to high for 6-8 hours. If you’re going to cook on high, it will need to cook for 10-12 hours if your slow cooker is 3/4 of the way full or more. The fuller the slow cooker, the longer it will take to cook. If it is done before you are ready to eat, just switch it to warm. 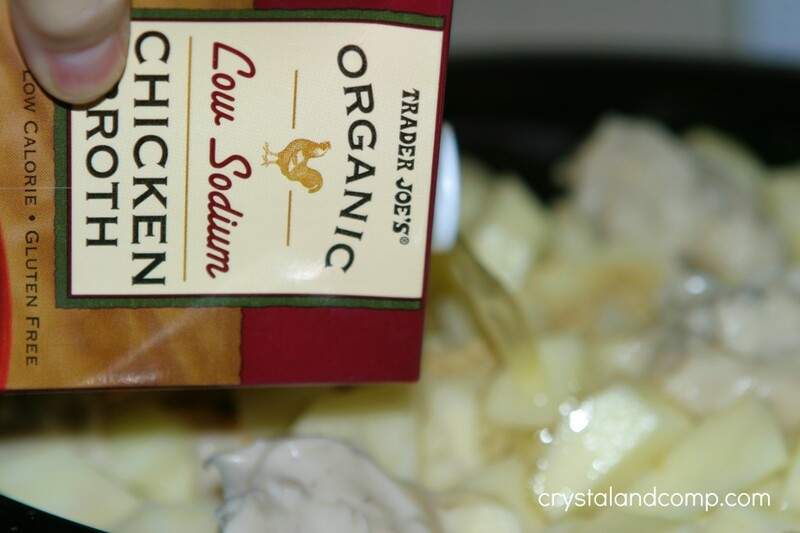 An hour before you’re going to serve dinner, add the Kosher salt and fresh cracked pepper. Stir well. Let it finish cooking. Plate it up or serve in bowls. This goes perfectly with cornbread. A delicious meal that sticks to your ribs! 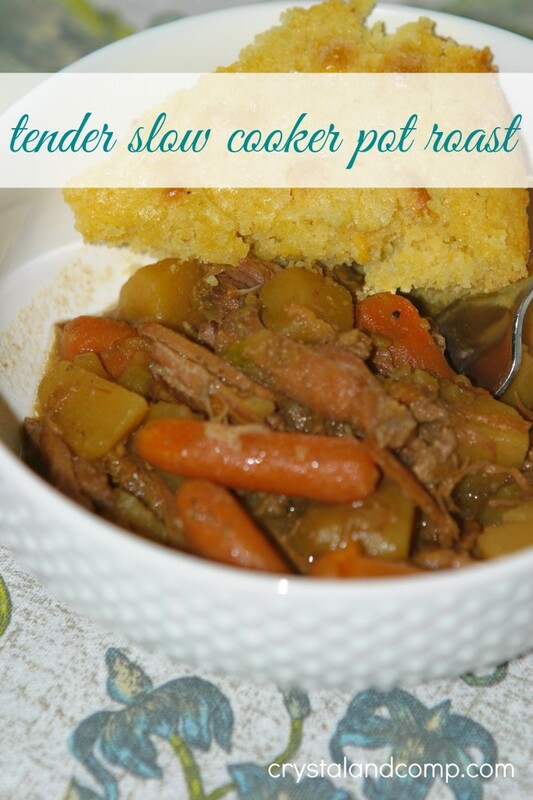 How often do you cook roast in the slow cooker? 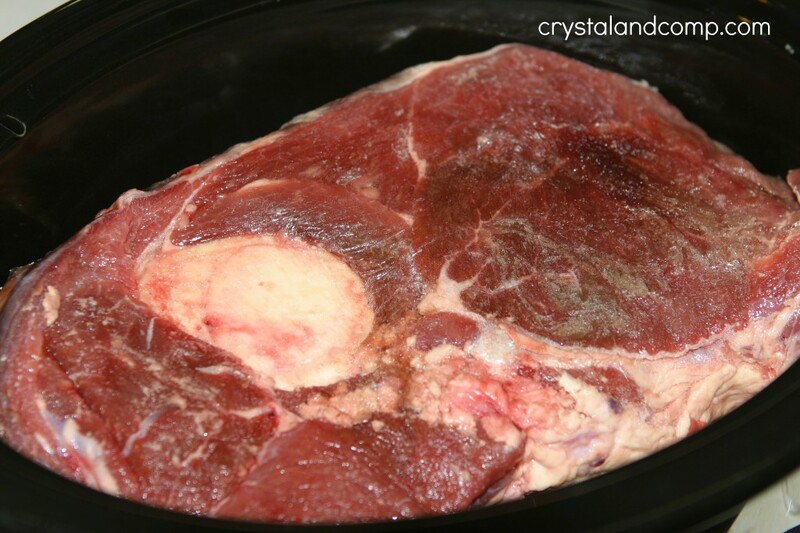 Perfect time of the year for your Slow Cooker Pot Roast, it will be awesome! Thank you so much for sharing with Full Plate Thursday and hope you have a great week!